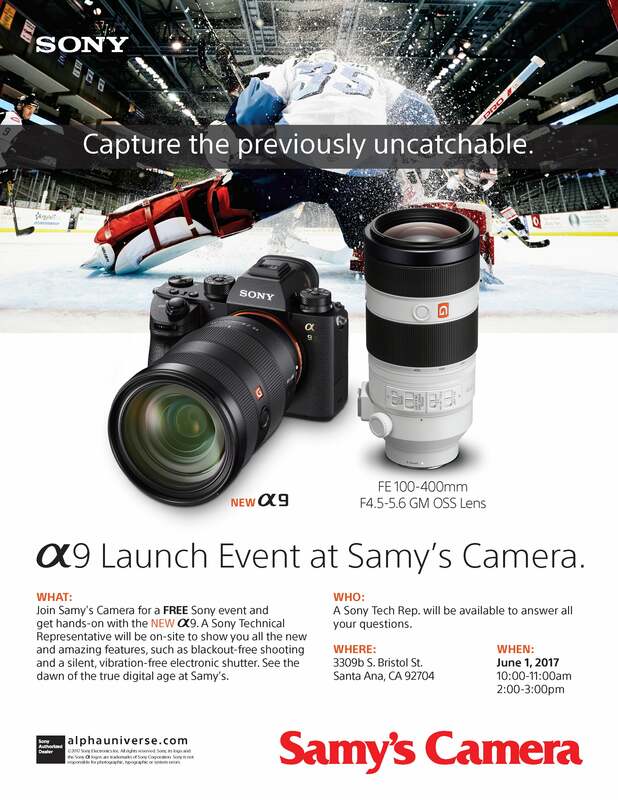 Join Samy's camera for a free Sony event and get hands-on with the new α9. A Sony Technical Representative will be on-site to show you all the new and amazing features, such as blackout-free shooting and silent, vibration-free electronic shutter. See the dawn of the true digital age at Samy's.